Music, Movies, Sports, TV and Events. Perfect for your next party. 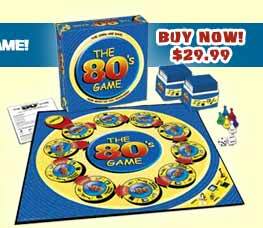 A great gift for any "80's child." Perfect Birthday, Christmas or Groomsmen/Bridesmaid Gift! Copyright © 2004 The '80s Server, a division of MacroMusic, Inc.